In December, CIT Group received a $2.33 billion lifeline from the Troubled Asset Relief Program. 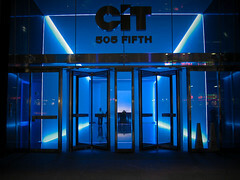 CIT Group is one of the country’s largest lenders specializing in loans to small and mid-sized businesses. The struggling giant has applied to the Federal Deposit Insurance Corp for assistance under a program that guarantees newly issued debt. The FDIC is reluctant to intervene. In strained meetings with the FDIC, The Treasury and The Federal Reserve, CIT’s financial instability has come under fire and poses a serious roadblock for a proposed bailout.